Hold on to your butts, we've got a new category of wearable tech to talk about: unawareables. That's the name of the end game, according to engineers at the University of California San Diego, who have created a "near-zero-power" temperature sensor that could make wearables and smart home devices much less battery hungry - and as a result, less conspicuous. 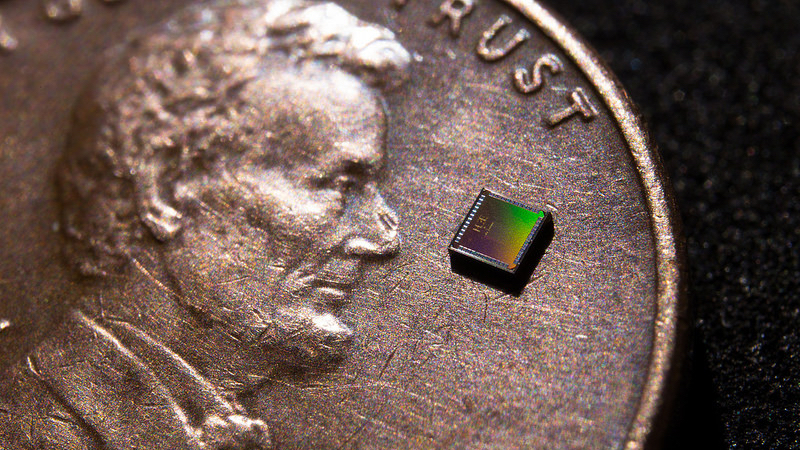 The minuscule sensor - 0.15 × 0.15 square millimeters - uses so little power it could last a considerably long time without running out of juice in devices that require a temperature sensor. The engineers achieved this by taking the small amount of current that leaks from transistors, known as "gate leakage", and actually using it to power the chip. This means the chip uses 628 times less power than the most viable option out there right now. What's more, it could also allow for devices that can draw energy from low-power sources, such as the body. "We're building systems that have such low power requirements that they could potentially run for years on just a tiny battery," said Hui Wang, an author on the study, adding: "Many researchers are trying to get rid of leakage current, but we are exploiting it to build an ultra-low power current source". From here, the team is going to work on improving the accuracy of the sensor, while optimizing the design to make it easier to integrate into commercial tech.